For our first pregnancy, we hired a confinement nanny to help as both of our parents were not able to help with my confinement. We really appreciated the additional help especially since I had undergone a caesarian surgery. This time around, it was pretty much a no-brainer decision for us. With an active toddler who is only 2 years old, we would need all hands on deck. Thus this time, we decided to hire a nanny from PEM Confinement Agency which is one of the most popular confinement agencies in Singapore. I actually shared about my nanny often on Instagram and some of my friends and readers have requested for a PEM confinement review so here it goes! Our parents are unable to help with the confinement period. My mum is working whereas my mother-in-law can't cook confinement food and is not confident in taking care of a newborn. Having an additional pair of hands would help lighten our load and stress. Going thru another caesarian meant a longer recovery to me. I also did not want to stress my wound too much and I was right in thinking so. My recovery this time around was really really tough. We could concentrate on spending time with the kids instead of focusing on the chores. Skai was unable to take one month of leave to be the 'confinement nanny'. Both of us had no idea on how to cook and prepare confinement food. With these overwhelming reasons, our decision came really easy for us. We preferred to work with an agency rather than hiring a freelancer as we have heard many horror stories about freelancers. With an agency, if there are any hassles, we could always get a replacement or ask the agency to settle the problem. We called PEM really early in my pregnancy as I remember how fast they were fully booked being one of the most popular and reputable agencies. Made our deposit and was given a reference number and briefed on the procedures. We were told to call them once I have given birth. We were introduced to Auntie Wee Kin (#454). I liked that she was bilingual as she managed to speak Mandarin to my hubby and Malay to me. I'll be breaking down my PEM confinement review into a few sections on how Auntie has helped us. I guess as a second time mama, I kinda knew what I wanted to do. I discussed with Auntie and we discussed on a suitable routine. For me, with the success of Aidan's breastfeeding journey (he has been breastfed till now actually, more than 2 years! ), I wanted total breastfeeding. Not only that, I only wanted to latch. No bottles or pacifiers were to be used during confinement. Auntie was super supportive of my breastfeeding journey and even helped to clear space in my freezer for when I pumped. She also made sure I have adequate rest as she mentioned that happy and well-rested mamas would have a better supply. Not only that, she made sure to cook plenty of boosters for me to help with my breastfeeding journey. We also had an arrangement where while she took care of Davina at night, whenever Davina was hungry, she will pass to me to latch and I will return Davina to her afterwards. Though it was more tiring for her as compared to feeding formula (where babies usually sleep longer) and that she would have to wake up more times at night, she was more than willing to do so. As mentioned above, my recovery was really tough. It was more painful than the first time actually. I was pretty much bedridden for the first week. Auntie helped to cook nourishing soups for me to help aid my recovery. Also because I had a caesarian, I couldn't eat chicken or eggs for the first two weeks. She prepared many various dishes that didn't make me 'sian' of pork at all! I told Auntie that from previous experiences, I did not want breakfast. If really need be, a simple toast or cooked oats. I couldn't stomach a very filling breakfast in the morning as this wasn't my style. For lunch, I preferred a one-dish meal and for dinner, I was okay with a few dishes as Skai would be eating with me. Auntie made a lot of yummy dishes and once she knew what I liked, she would replicate it in many various ways. I often ask Auntie to cook the same thing over and over again (like my fave beehoon soup, fried beehoon, salmon and pork trotters). I liked that Auntie kept things simple. Soups were nourishing but not bitter. Drinks were tasty but not overpowering. She was scared that I would be sick of the longan red date tea so she made sure to alternate drinks. I would have longan red date tea for one day and fried rice tea for the other. She would also prepare tea breaks for me. She noticed that I had very bad water retention and made a point to prepare red bean soup for me often. Skai and I really enjoyed her cooking and we really loved the homeliness of it. Reminds me of home cooked meals. While she wasn't obligated to, she also cooked for Aidan who was a very very fussy eater! Auntie also made sure I had sufficient hot drinks and would wake up in the middle of the night to replenish my flask! Auntie was seriously a clean freak! HAHHAA. And I mean it in the most positive and endearing way. She couldn't stand having things messy or dirty. In the first week that she was with us, she basically gave my home a makeover! She helped me with the messy rooms and kitchen. She introduced a better organisational system for both the nursery and kitchen which really made things easier to find! She is also very particular about cleanliness. She would mop and sweep the floor everyday. Skai and I also liked how clean and neat Auntie was. We felt at ease with her taking care of Davina as we observed her cleaning and bathing Davina. While Auntie wasn't obligated to take care or cook for Aidan, she did so. I noticed that she really loved kids and she love to interact with Aidan. She would entertain Aidan daily and play with him. She would also sing to Davina and chat with her daily. Some days, she would help to feed Aidan so that Skai and I could eat at our own time without rushing through our meals. I think one of Auntie's favourite moments with us was attending Davina's newborn shoot. She was going gaga over how cute Davina was. heh. What I liked about Auntie Wee Kin was her modern way of thinking. She did not restrict me from bathing and would prepare the herbs for me to shower with each day. She only asked that I would blow dry my hair so that I would not catch a cold. She does not nag and is not kaypoh. She keeps to herself when needed and is not a chatterbox. I really liked this aspect as for the first week, I was in tremendous pain that all I wanted to do is rest. She was a very motherly figure (without the naggyness) and was super caring. I miss Auntie so much! We even celebrated her birthday as it was during the confinement period. We found out that she liked colourful and sweet snacks so Skai went out to buy a mini rainbow cake for her. We kinda barged in during her rest time and sang to her. She was so shocked! hAHHAA. I highly recommend Auntie Wee Kin to anyone who is looking for a confinement nanny. If you are looking for her, you can quote her number #454 when booking from PEM Confinement Agency. I have a friend who has booked her for her confinement and I'm so glad to hear that! I intend to visit her and Auntie once she has popped heh! Here are the last two pics of Auntie we took on her last day! Even Davina looked sian that Auntie was leaving LOL. She woke up that day at dawn to prepare plenty of food for us. Super touched! Thanks for reading this super long PEM confinement review. If you have any queries, please leave them in the comments below. Thanks! Posted in #DavinaSim, #nadskaijunior, Announcements, Confinement, Confinement Nanny, Singapore Lifestyle Blog, Singapore Mom Blog, Singapore Parenting Blog, Yours truly.... Tags: #babydavinasim, #DavinaSim, #nadskai, #nadskaijunior, Aidan Sim, Announcements, Davina Sim, love, Motherhood Singapore, nadnut, nadnut confinement nanny, nadnut pregnancy, nadnut.com, nadnut.com - Singapore Lifestyle Blog, Parenthood Blog Singapore, Parenting Blogger, Parenting Bloggers Singapore, PEM #454, PEM Auntie Wee Kin, PEM confinement, PEM Confinement Agency, PEM Confinement Review, PEM Nanny review, review PEM confinement, Singapore Baby Blog, singapore lifestyle blog, singapore lifestyle blogger, Singapore Maternity Shoot, Singapore Maternity Shoot Blog, Singapore Mom Blog, Singapore Mom Blogger, Singapore Mommy Blogger, Singapore Motherhood, Singapore Parenthood Blog, Singapore Parenting Blog on June 4, 2018 by nadnut. As some of you guys may know, I did my recent maternity shoot with Ashley Low Photography and basically almost all of my family shoots with her! She did such an awesome job with Aidan's newborn photoshoot that it's a no-brainer that I would return to her! Do check out pics of Aidan's shoot here! - Do you have any colour preferences like “neutral”, “pastels only”, “bright” or you are fine with any colour choice? - Do you like usage of flowers, floral themes? - We have the following set ups: basket/fabric ; beanbags ; themes - do you have preference over any kind of set ups? I also viewed their website to have a sense of what types of set ups were available. Back then, for Aidan's shoot, I wanted colourful. For Davina, I wanted more neutral and girly colours. I also opted for more beanbags and baskets/fabrics as compared to concept themes. Ashley's team also shared with us to consider neutral coloured outfits for our family shoot and to avoid big logos etc. Like with Aidan's, we decided to go with all white again! They also sent across the location map for our easy reference. Ashley has shifted studio to a stone's throw away from her previous one. The new studio is bigger and more comfy! There was a huge bunch of props and also an area for kids to have fun, which Aidan definitely did! He had so much fun with all of the toys! A pantry area where cold and hot drinks are available. Plenty of snacks were available too! A changing table where diapers and wet wipes are available. I was extremely excited when I walked in as I saw all of the themes prepared for me. I soon sat back and just let Ashley and her team to work her magic. She took care of outfit changes, to coaxing Davina to even changing her diaper when Davina soiled it! Here are some behind the scenes pics I sneakily took of Ashley and team! We managed to finish the photoshoot within 1.5 hours despite having to stop for 2 times, to breastfeed and also having to coax a temperamental Aidan who did not want to take pics and wanted to continue playing LOL. All I can say is... Ashley really knows how to coax kids! She got Aidan smiling in no time! Pink and neutrals in a basket! I had to do this shot as we did a similar one for Aidan back then! I also customised the name banner for Davina. My princess in a tutu! And my personal favourite... the family shots! Featuring the gems in my life. I'm so glad that we decided on a newborn shoot for both of our kids, they grow up so fast! Love that we captured these precious moments in prints! If you are an expecting mum, I'll highly recommend that you splurge on a newborn shoot! It's definitely worth it! Ashley has also kindly extended a discount for www.nadnut.com readers! Simply quote ‘Nadia’ upon booking to enjoy $50 discount on all session fees! Discount is available till 31st December 2018. Do take note that terms and conditions apply! Ashley Low Photography (ALP) is a cosy and personable boutique set-up that provides creative and fun photos for your beautiful lasting memories for your newborns and babies. Ashley is a female photographer and the only Photographer in ALP who specialises in Newborn and Baby Photography, and they also provide photography services for pregnant mummies and families in Singapore. ALP has been around for over 6 years now! If you like my photos, do check out Ashley Low Photography! It's definitely a great experience working with her. All in all, I enjoyed the brainstorming sessions and actual photoshoot the most! She really made me feel at ease, which is very important for a newborn photoshoot! Posted in #AidanSim, #DavinaSim, #nadskai, #nadskaijunior, Announcements, Family Shoot, Life and Fun, Love, Newborn Shoot, Singapore Lifestyle Blog, Singapore Mom Blog, Singapore Parenting Blog, Yours truly.... Tags: #babydavinasim, #DavinaSim, #nadskai, #nadskaijunior, Aidan Sim, Announcements, Ashley Low Maternity Photoshoot, Ashley Low Maternity Photoshoot review, Ashley Low Newborn Photoshoot, Ashley Low Photography, Ashley Low Photography outdoor photoshoot, Ashley Low Photography promo 2018, Ashley Low Photography reviews, Ashley Low reviews, Ashley Low Singapore Photoshoot, Baby Bump, Baby Bump Photography, Davina Sim, Family shoot, Female Maternity Photographer, Female Maternity Photographer Singapore, Indoor Maternity Photoshoot Singapore, Indoor Maternity Shoot, love, Maternity Photographer, Maternity Photographer Singapore, Maternity Photoshoot, Maternity Photoshoot Singapore, Maternity Shoot Blog, Maternity Shoot Blog Singapore, Maternity Shoot Ideas, Maternity Shoot Photographer, Maternity Shoot Poses, Maternity Shoot What to Wear, Motherhood Singapore, nadnut, nadnut Maternity Photoshoot, nadnut pregnancy, nadnut.com, nadnut.com - Singapore Lifestyle Blog, Parenthood Blog Singapore, Parenting Blogger, Parenting Bloggers Singapore, Posted in #AidanSim, Singapore Baby Blog, singapore lifestyle blog, singapore lifestyle blogger, Singapore Maternity Shoot, Singapore Maternity Shoot Blog, Singapore Mom Blog, Singapore Mom Blogger, Singapore Mommy Blogger, Singapore Motherhood, Singapore Parenthood Blog, Singapore Parenting Blog, Singapore Pregnancy Shoot, Sponsored. Tags: #babyaidansim, Studio Maternity Photoshoot Singapore on May 12, 2018 by nadnut. Just like with Aidan, I opted for a scheduled c-section with Davina. Reasons being, I suffered from low placenta again and Davina was breech. To be honest, I really did wanted to try a natural birth but because of the risks involved, a healthy baby was more important. This time again, we chose the single ward. Same like last time, we checked in after midnight, did the pre-admission etc. I however felt even more nervous than the first time. Had so many fears and worries before the surgery. I guess, it's also because I knew what was going on, thus I felt more scared. I couldn't sleep a single wink before my surgery. Not a single minute at all. Funnily, this time, I didn't had to use a supp to clear my bowels. I asked the nurse and she said there was a note that I had a low placenta and that they don't use supps for low placenta. Kinda weird if you asked me since I had that for #1. Maybe my placenta was lower than back then? Same as the previous time, they prepped me and wheeled me off to the operating theatre while Skai was brought elsewhere to prep. I had previously requested for the same anaesthetist but unfortunately she wasn't available. This time, a male anaesthetist handled my surgery. He gave me laughing gas before inserting the spinal block which I didn't feel help much. It just basically makes you feel a bit woozy LOL. For those familiar with a caesarian will know how's the procedure. After the anaesthetist has injected the spinal block, your gynaecologist will check if you have any pains by using pressing your stomach. They will then start the operation, and very quickly the father will be ushered in and your baby will be born quite quickly. At this part, some pressure will be placed on your tummy to push the baby out. After a quick photo taking, the father and baby will be ushered at the side where they will check the baby and also have a look at the placenta. The baby will then go thru a few other checks elsewhere and the father will be ushered out of the operating theatre. The operation will continue as the gynaecologist will concentrate on closing you up. Here's my account of Aidan's birth. This time, everything happens as per usual.. at the beginning. Skai was ushered in and we waited. However Davina didn't appear as fast as Aidan did and we noticed that the mood of the team took a very serious turn. More hands were called for to help push Davina out. At this time, no one was telling us what was happening but we knew that Davina was stuck. I heard the anaesthetist suggesting to my gynaecologist to use the forceps. After a while, she cried. I have never thank god so many times in my life before. Skai was then ushered out and again, my gynaecologist closed me up. And everything was per normal. The next day, when I was feeling better, I asked my gynae what happened. In my own understanding, my bladder was in the way of the scar so he cut in a different angle. Coupled with the fact that Davina was not in the right position, it became a very difficult delivery. But thank god, all is well. Aside from that, I suffered side effects from the epidural such as shivering and nausea. My nausea was so bad that I wasn't allowed food for a while. When I could eat, I was only allowed porridge for 2 days. I also had breastfeeding contractions which I later found out was more common in second time mums. Recovery for my second c-sect definitely took longer and I was in severe pain for a few weeks. Thankfully I'm much better now. But am still taking it slow, to be safe. Enough about the wall of text, here are some pics from my hospital stay! Posted in #AidanSim, #DavinaSim, #nadskai, #nadskaijunior, Love, Singapore Lifestyle Blog, Singapore Mom Blog, Singapore Parenting Blog, Yours truly.... 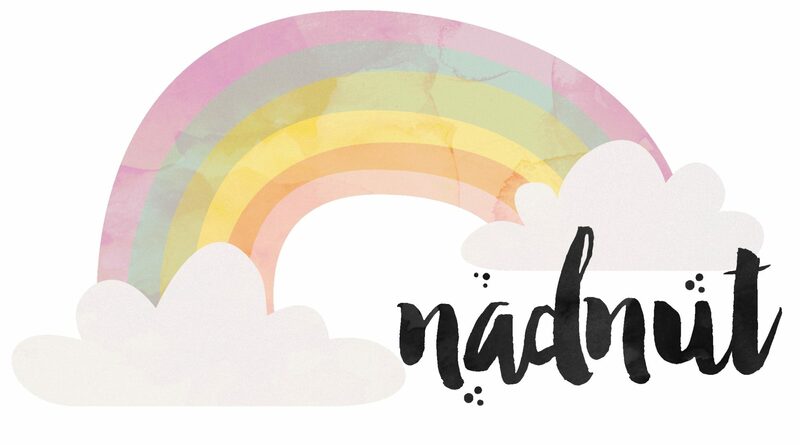 Tags: #babydavinasim, #nadskai, #nadskaijunior, Aidan Sim, Aidan's birth story, Announcements, baby aidan, Baby Milestones, Birth announcement, Birth Story, Davina Sim, love, nadnut, nadnut birth, nadnut pregnancy, nadnut pregnant, nadnut's birth story, nadnut.com, nadnut.com - Singapore Lifestyle Blog, Parenthood Blog Singapore, Parenting Blogger, Parenting Bloggers Singapore, Pregnancy, Singapore Baby Blog, singapore lifestyle blog, singapore lifestyle blogger, Singapore Mom Blog, Singapore Mom Blogger, Singapore Mommy Blogger, Singapore Motherhood, Singapore Parenthood Blog, Singapore Parenting Blog, Singapore Parenting Blog. Tags: #nadskai on May 8, 2018 by nadnut.